I missed this one last year. Somehow I missed that Steve Wariner released an album last fall. So this one might not be entirely new, but we’re going to treat it as new anyway. It looks like a handful of songs on the album have been popular on Spotify. I always kind of look to see those little bars next to the song. I think they compare against the other songs on the album. It’s a nice little way to see what people are liking from an artist. 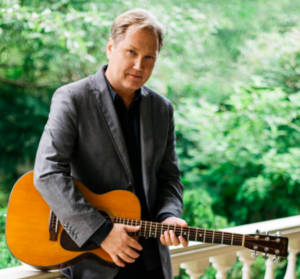 Anyway, here is a catchy one that seems vintage Steve Wariner while still sounding fresh too. It’s got an edgy kind of feel. Almost like a dark kind of thing going on in the beginning. Then it softens kind of into that classic style you expect from Steve. I think the song is about a guy that knows he’s lucky to have the girl he does. He sees all the other guys out there wishing they had this girl. Wondering how this guy got so lucky. They just can’t figure it out and the narrator can see how lucky he is. And it sounds like it’s been that way since the beginning. This guy knew all along that this girl was a catch. Maybe she knows it. Maybe she doesn’t. It doesn’t matter to him. I think that’s what’s going on with this one. It could be about a girl that kind of does wrong by guys. And the narrator is just kind of warning others. I don’t know, but I know I like it.